Take 40% off the entire book. Just enter code mmwindmill into the discount code box at checkout at manning.com. Flutter in Action teaches you to build awesome, full-featured mobile applications with Flutter. Author Eric Windmill walks with you every step of the way as you build apps that get you coding as you learn. With the engaging hands-on examples, you’ll create a basic user interface, learn about state management, and integrate a database with a Dart web app. You’ll also delve into widgets, styling with themes, animations, handling user input, and more. As a bonus, you’ll gain experience coding in Google’s instantly familiar Dart programming language, which has features sure to boost your productivity. Programmers familiar with any high-level language will feel right at home with Dart. If you want to build beautiful, fast, cross-platform mobile apps, you need this easy-to-follow tutorial! 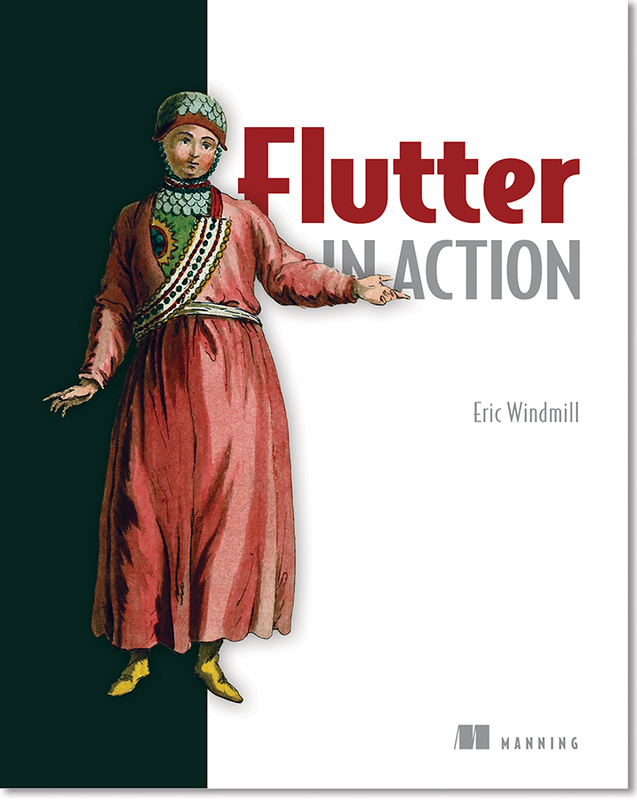 And with Eric Windmill’s informal, friendly style, learning Flutter is as much fun as writing the apps! 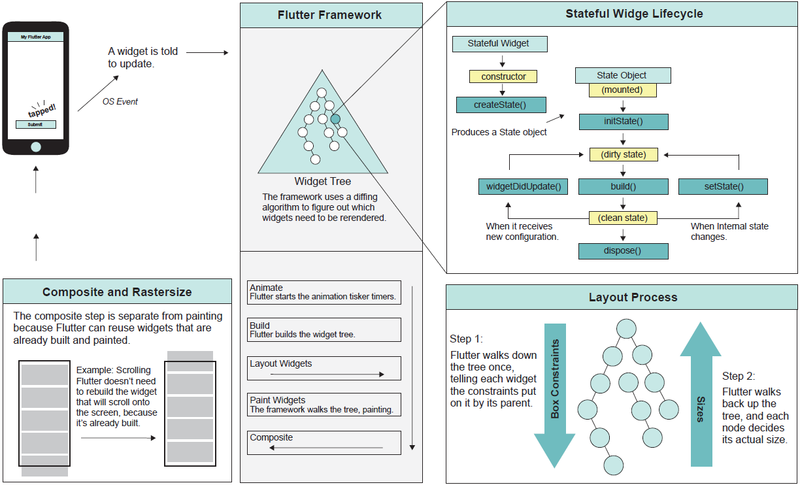 The diagram below shows how Flutter works its magic.